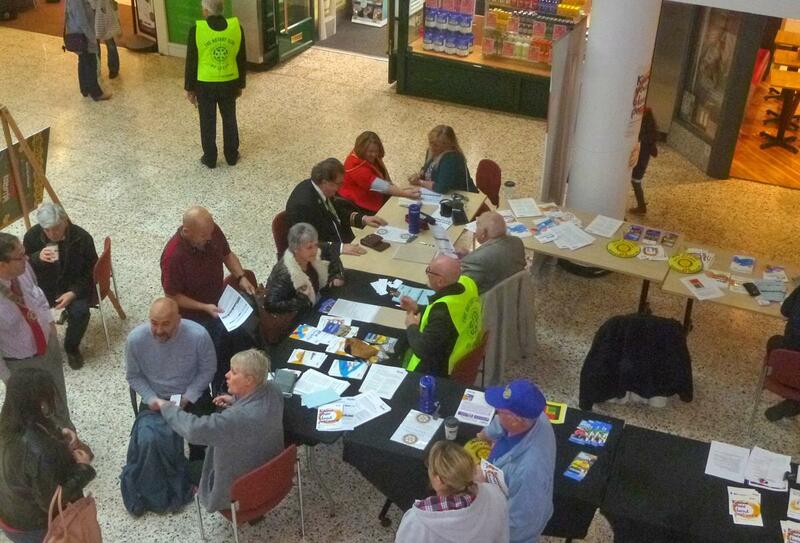 Rotary service to the local community and in support of the The Stroke Association. 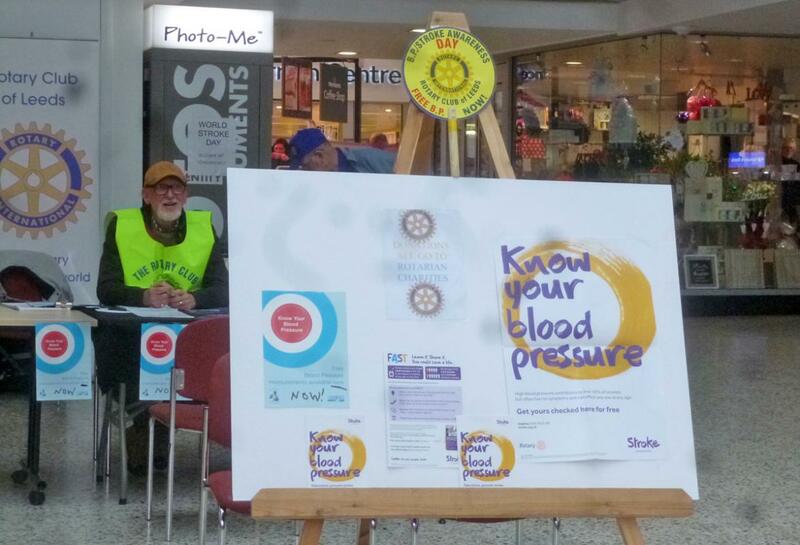 Every year Rotary Leeds holds a blood pressure testing session in support of the Stroke Association to raise the public’s awareness of the dangers of high blood pressure and sudden disabling stroke. 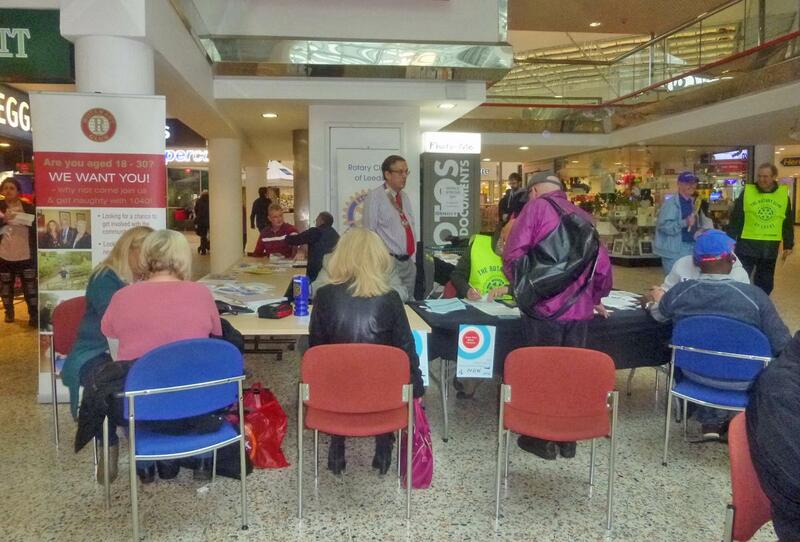 This year, as previously, we held our event in the Merrion Centre in Leeds. 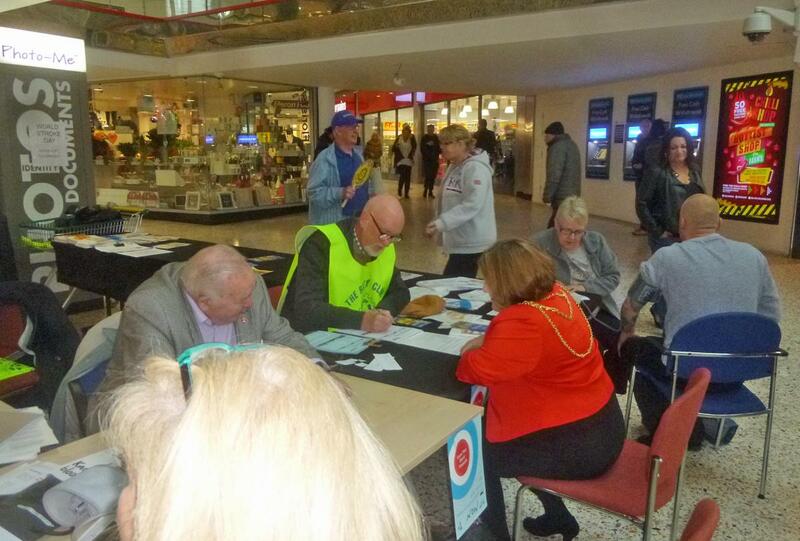 We invited members of the public passing our stand to spare a few minutes to have their blood pressure tested, entirely free of charge. We tested the blood pressure of more than 200 people, some 20% of whom were recommended to go to their GPs on a non-urgent basis. About 4%, however, were recommended to go to their GPs urgently. 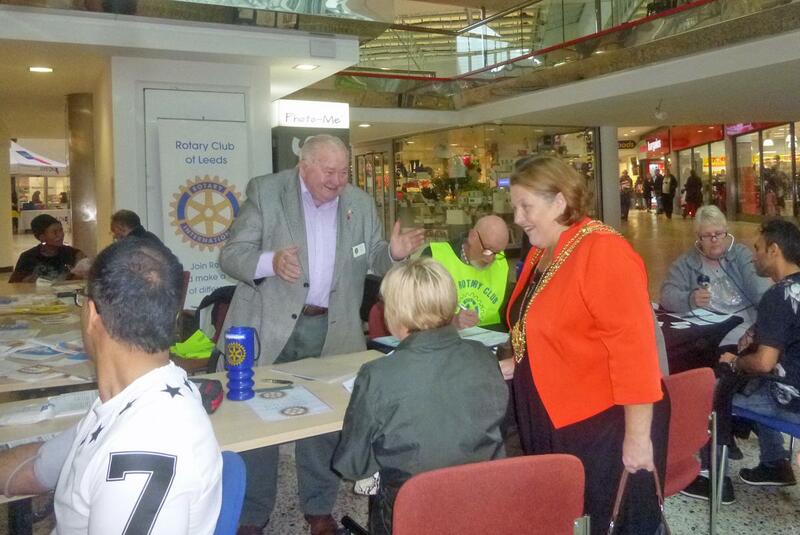 Our patron, the Lord Mayor of Leeds, Councillor Jane Dowson, visited the stand during the day and has commented that our friendly manner made people feel very welcome and confident. Roger Ehrlich, who organised the event, commented that he feels sure we will have prolonged a few lives.